UPDATE: Mohamed Fahmy and his Al Jazeera colleague Baher Mohamed have been pardoned by the Egyptian president on September 23rd, 2015. Peter Greste had been freed and deported to Australia several months ago. 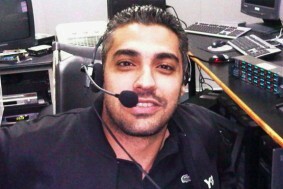 Amnesty International – Canadian journalist Mohamed Fahmy and his Al Jazeera English colleagues Peter Greste and Baher Mohamed are on trial in Egypt. Their crime? Reporting the news and challenging the “official version” presented by the authorities. Amnesty International believes they are prisoners of conscience detained solely for peacefully exercising their right to freedom of expression. The three men were detained on December 29, 2013 and later charged with falsifying news and belonging to or assisting a banned terrorist organization. They face up to life imprisonment if convicted. Their trial is grossly unfair. Amnesty International fears that the charges may be an attempt to punish the journalists for Al Jazeera’s editorial line. The channel has been accused of being biased towards the now banned Muslim Brotherhood in Egypt. This entry was posted in Past actions on 13 May 2014 by ICLMG CSILC. Avaaz – A kangaroo court in Egypt just sentenced 528 people to death.This is likely the biggest mass execution ruling this century, but one man can stop the killings. 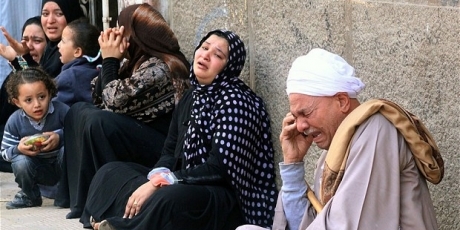 Egypt’s most important religious figure, Grand Mufti Allam has 10 days to reject the decision. Religious leaders are already condemning the ruling, and as the first Mufti to be elected by his peers, he has a legitimate mandate to be the nation’s moral leader. Let’s create a global plea from people of all religions to provide clemency and block this barbarous ruling. This entry was posted in Past actions on 2 April 2014 by ICLMG CSILC. Openmedia.ca – The government is about to ram through a new law, Bill C-13, that will provide immunity to telecom companies that hand over our sensitive information to authorities even when they don’t have a warrant. A broad-based coalition of citizens, experts, organizations, and businesses have come together to defend our right to privacy based on a common statement of principle. The government has been caught engaging in secretive, expensive, and out of control spying on our private lives. Secretive: The government has been caught tracking law-abiding Canadians and collecting our sensitive private data. Expensive: The government is about to spend $4-billion of our tax dollars to house new spying operations. Out of control: In recent years there have been over 3,000 breaches of sensitive citizen data, affecting approximately 725,000 of us. This entry was posted in Past actions on 1 March 2014 by ICLMG CSILC.